1. 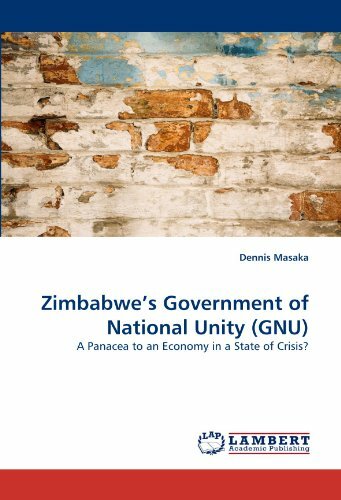 Zimbabwe's Government of National Unity (GNU): A Panacea to an Economy in a State of Crisis? In November 1965, Ian Smith's white minority government in Southern Rhodesia (now Zimbabwe) made a unilateral declaration of independence, breaking with Great Britain. With a European population of a few hundred thousand dominating an African majority of several million, Rhodesia's racial structure echoed the apartheid of neighboring South Africa. Smith's declaration sparked an escalating guerrilla war that claimed thousands of lives. Across the Atlantic, President Lyndon B. Johnson nervously watched events in Rhodesia, fearing that racial conflict abroad could inflame racial discord at home. Although Washington officially voiced concerns over human rights violations, an attitude of tolerance generally marked U.S. relations with the Rhodesian government: sanctions were imposed but not strictly enforced, and hundreds, perhaps thousands, of American mercenaries joined white Rhodesia's side in battle with little to fear from U.S. laws. 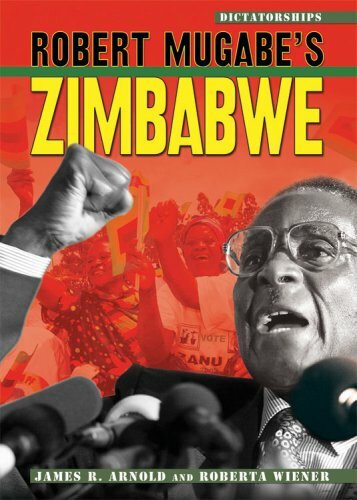 Despite such tacit U.S. support, Smith's regime fell in 1980, and the independent state of Zimbabwe was born. Received in very good shape and on time. 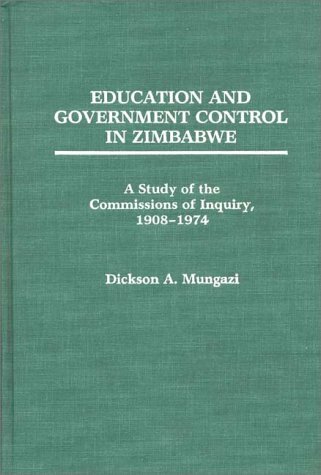 While the book itself is a sort of twisted history and reverse racism, it was very informative and helpful in my study of Rhodesia. You'll find a lot of good information here if you can forgive the Marxist slant to everything. It is worth reading but not stopping with. There are two sides to this story. This is one of them. The preceding reviews show the depth of the divide between truth and fiction.History and propaganda, right and left without regard in every instance to the lives which have been affected by the actions on both sides.Personally this book is a jewel if for no other reason, than the author makes the reader privy to thoughts, ideals and a perspective which is not fomented in fear, slanted by political ideology or in defense of racial or nationalistic purview.Unfortunately the only acceptable word or view of Mugabe and Zimbabwe seems to be the one which paints a picture of him as an unquestioned despot, driven by a maniacal urge to defy authority, and yet those who unequivocally support this position rarely bother to give so much as a cursory glance at the facts as they pertain to equal rights or equal treatment.There are more than enough right/west slanted books on Africa and Mugabe to fill a thousand libraries yet and still it bothers them to no end when a coherently crafted work such as this dares to challenge their childish world view.Mr. Horne's work is a well-balanced alternative to the mountain of biased writings which are out there. I bought this book, hoping to gain further insight to the war in Rhodesia. Instead, what I got was leftist drivel that reads more like a harangue than a well thought out argument. It's very poorly researched, and I can state that because I personally know some of the people that Gerald Horne is writing about. I'm really surprised that Mr. Horne hasn't been sued by some of the people he so casually libels. 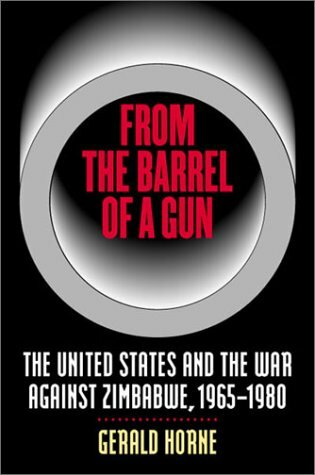 I bought the book because I wanted to know more about the implications and decisions made in the USA that would influence that 'other war against communism in the 1970s', in Rhodesia/Zimbabwe . I was very dissaponted by the book, since it so utterly racist (towards the whites in Rhodesia) that I cannot take anything for granted that is written down. Mr Home should try to write history as a historian, namely with prejudice and retrospection. If he wants to write with retrospect, I suggest he introduces a chapter about Zimbabwe after the war, in which he should talk about the tyranny and cruelty of Mugabe and his cronies. Seen in that light, Rhodesia wasn't so bad. How liberal guilt leads to more innocent bloodshed! 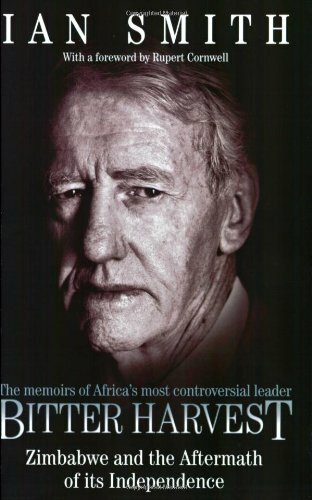 Prime Minister Ian Smith lays out in detail how the Western powers, motivated by an urge to atone for a leftist-inspired guilt complex over the past, have only caused more innocent blood to gush in a land far from them.That, along with South African Prime John Vorster's foolish attempt to appease African Marxist leaders and use Rhodesia as a foil to distract world attention away from his Apartheid regime, has only served to install a brutal thug whose regime has one of the worst human rights records.If Western liberals want a REAL reason to feel guilty, they need only look to Zimbabwe and read Ian Smith's book. 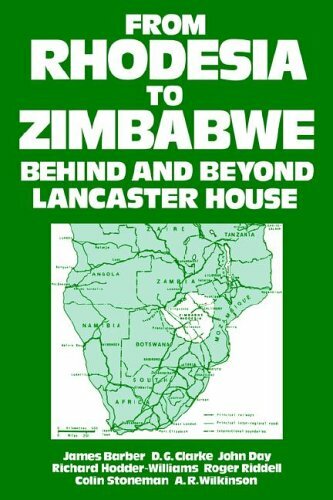 This account of the deliberate destruction of Rhodesia by foreign powers helbent on disastrous political agendas which are also an existential threat to their own states and economies in 2009, is a wake-up-call for people with an interest in such matters. The bulk of Ian Smith's ire is directed towards Great Britain and its determined drive to placate the OAU and maintain the Commonwealth via the policy of No Independence Before African Majority Rule (NIBMAR) irrespective of the reality on the ground that Black-Africans desired any such a thing, or had the slightest ability to administrate it beyond a cadre of Marxiist-Lennist gangsters intent upon looting Rhodesia's capital core, for their own purposes. As per Henry Kissinger's pragmatic advice and South Africa'sdisastrous détente policy, as aggressively advocated by John Vorster, Ian Smith accepted the inevitable. Rhodesia became Zimbabwe. And Robert Mugabe in consort with Zanu-PF, rapidly instigated their intended programme to reduce a successful and thriving African state into the catastrophe it now is, whilst pocketing the loot and remaining in power without any possibility of being challenged. Which is the point of Communism, as Ian Smith was reliably informed by a Black-African university graduate when asked why he was an advocate of Communism. 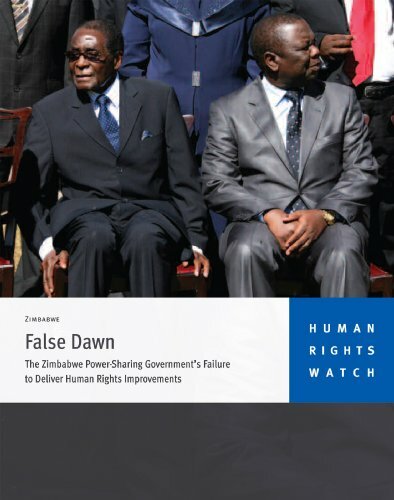 This is a detailed analysis of Zimbabwe's struggle to become a viable independent state, with a focus on the tumultuous events under President Robert Mugabe. 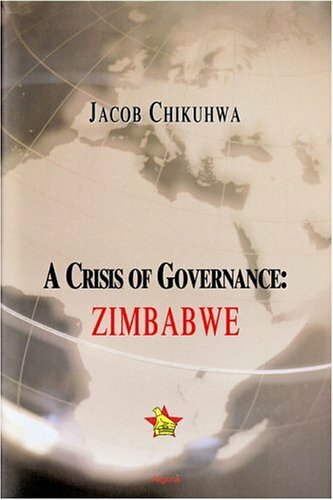 Written by an internationally-trained African economic analyst, A Crisis of Governance is a detailed study of Zimbabwean socio-economic history and development since the nation achieved independence from Great Britain in April 1980, with a focus on recent events under President Robert Mugabe and the ZANU (Patriotic Front). Problems range from the need for constitutional reform to political patronage and a de facto one-party democracy and the need for transparency in land reform, privatization, and economic liberalization. It is one thing to break free of colonial tutelage; it is quite another to recover from the legacy of colonialism and implement the macroeconomic changes that would lay the basis for a self-sustaining economy. 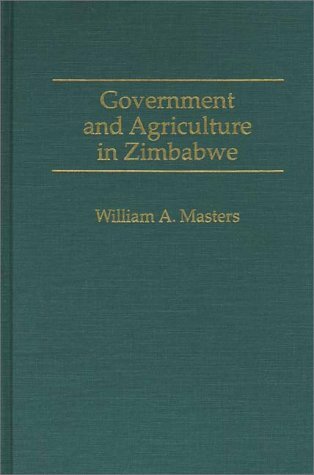 The crisis of governance in Zimbabwe (formerly known as Rhodesia) began with the occupation of Mashonaland by the British South Africa Company (BSAC) in 1890. Self-rule and the subsequent British-sponsored constitutions did not much improve the situation, and the 1965 Unilateral Declaration of Independence only aggravated it. Even with intense interest and focus on Zimbabwe, few analyses have been able to penetrate to the heart of the matter, moving us beyond the strident rhetoric of all the parties concerned. 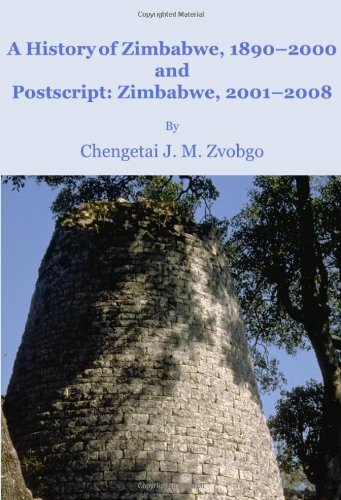 This detailed examination transcends the restricted view of the crisis in Zimbabwe through the lens of land dispute, to a broader perspective of an even more fundamental failure in governance. 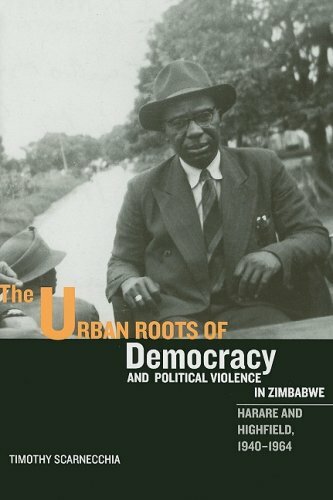 The author argues that the crisis in Zimbabwe is not as much a function of a heated confrontation over land, as it is a deeper issue of failed constitutional reform since the country's independence in 1980. The crisis has ensued precisely because the government has failed to move Zimbabwe beyond the negotiated Lancaster House Constitution of 1980, to a document that truly reflects the aspirations of the majority of Zimbabweans. 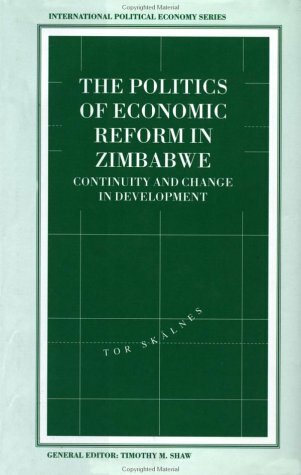 In 1990 Zimbabwe embarked on economic liberalisation. 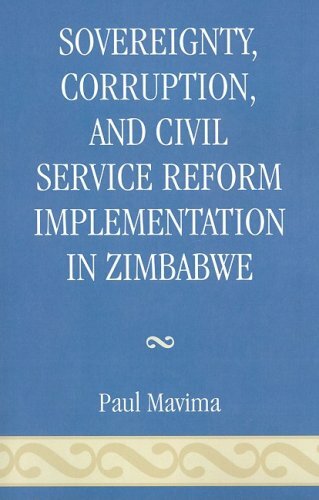 The country's economic associations, notably that erstwhile proponent of protectionism, the Confederation of Zimbabwe Industries, had successfully lobbied for gradual reform. While state autonomy has often been regarded as a vital condition for reform, in Zimbabwe societal groups have induced an initially recalcitrant government to reconsider its basic policies. After 1980 the government tried to limit political competition. However, because of the perceived need for racial reconciliation following the guerilla war, it maintained dialogue with settler-dominated interest groups along the pattern of societal corporatism established in the 1930s. By contrast, African associations, particularly labour unions, have regularly been subjected to regimentation. The government, however, has listened more closely to the demands of African farmers, who want to preserve parastatal marketing and governmental determination of prices. In Zimbabwe key urban groups support liberalisation while key rural groups do not. Theories of urban bias must therefore be qualified.